UPDATE: Patrice Evra has completed his free transfer to West Ham and signed a contract until the end of the season. West Ham are set to sign former Manchester United left-back Patrice Evra until the end of the season. The Frenchman, 36, has been without a club since he left Marseille by mutual consent in November after kicking one of the club’s fans before a Europa League match. Evra was banned from Uefa competition for the rest of the season, but is able to play domestically for West Ham. He played for Hammers boss David Moyes when he managed Manchester United. 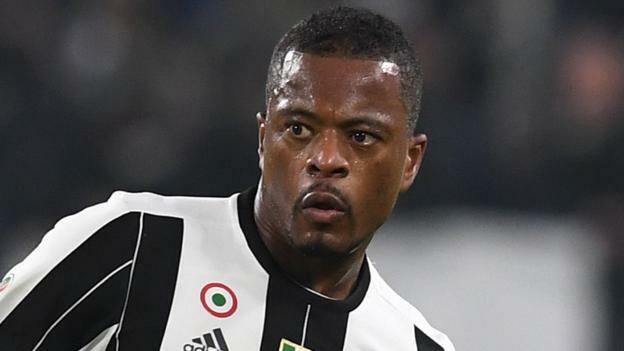 Evra then left Old Trafford for Juventus in 2014, and had three seasons in Italy before moving to Marseille in January 2017. Previous articleWhat Now For O’Neill ?